Keep the symbol in the Layout Map but do not show it on the Legend? I am trying to find a solution to not display the name and the symbol on the Legend on my ArcMap Layout but I do want to keep the symbol in the Layout . One workaround I know to accomplish this is to make a duplicate data frame where you remove that value from being displayed in the layer properties symbology tab. You can then add the legend from that duplicate data frame to your layout. 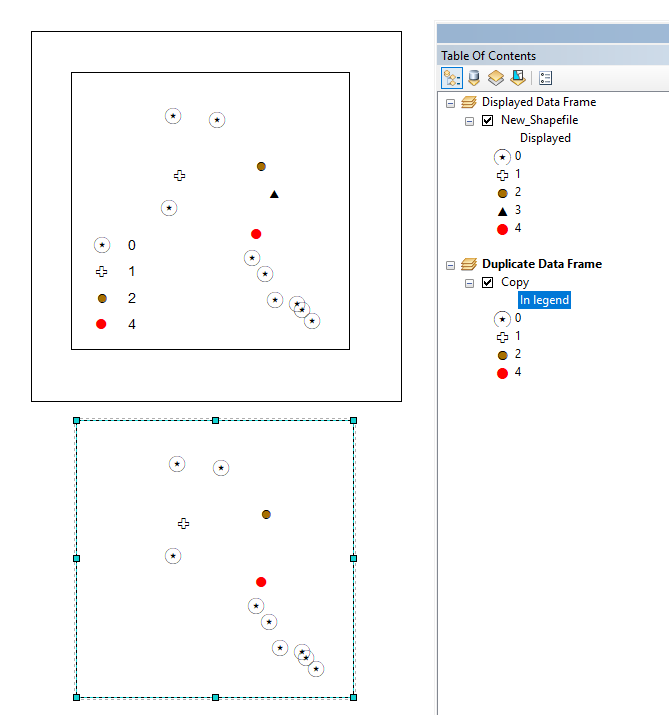 Just make sure to move the map of the duplicate data frame outside of your layout display area. If I have understood the question. You have a point file called: "Populated Places", it contains information you feel is not important to be included in the Legend of the map. The easiest way to include data in the Layout View / Map is to simply remove it from the "Legend Properties". In the Legend Items window select the layer you want to remove from the legend and hit the "<" button which lies between the two windows. That layer will be removed from the Legend. You can also play around with the "Map Connection" options to allow for layers which are unticked in the ToC to be displayed in the Legend, and locks the layers in place in the Legend if you move them around the ToC. Not the answer you're looking for? Browse other questions tagged arcmap symbology legend arcgis-10.5 or ask your own question. Why does ArcGIS for Desktop legend not always show symbol as desired?